I always find that when I should be spending the majority of my free time writing, more often than not I will procrastinate, and most of this procrastination comes in the form of reading other books. I have been reading lots of books lately, when really I should be trying to finish Tegan's Return. The situation isn't so bad though, and the book is almost finished so a bit of reading indulgence won't do too much harm. I hope. 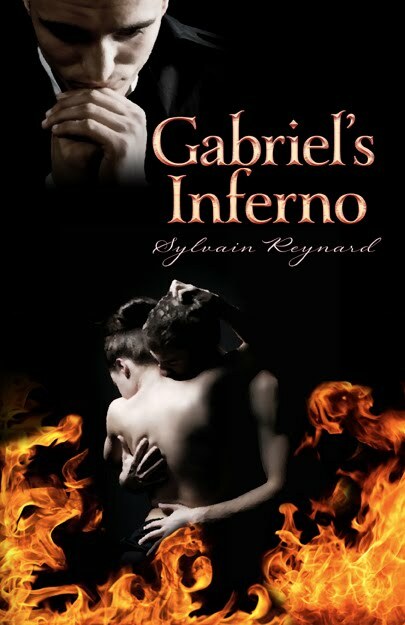 So I'll begin with the most recent, which is a book called Gabriel's Inferno by Sylvain Reynard. Have a look at the cover below. I think I came across this on Goodreads, which is always a source of great suggestions. I have to say that I read the first few chapters and just automatically assumed it was written by a woman, only to discover that the author is in fact a man. I have not read a really good romance written by a man in a long time, in fact, I think most of the my favourite male written romances come from the classics. Two of my favourites being La Dame aux Camelias by Alexander Dumas Fils and The Monk by Matthew Lewis. Actually, there was something about Julia that reminded me of Antonia from The Monk, perhaps her innocence and her almost saint-like actions. It's been a long time since I've come across such a delicate female protagonist. I certainly find it difficult to write characters who aren't sarcastic and world-weary, and who think about bad things from time to time. But Julia was so forgiving and understanding in this book that it made her almost hard to believe, however, then you realise how the author has based her on Beatrice from Dante's Inferno, and you understand why he draws Julia's character in such a way. Overall, this novel is a brilliant mix of comtemporary romance and classical romance. Judging from the cover I thought there would be a paranormal aspect, but even though there wasn't I still really enjoyed it. You can see themes in the story that reflect older novels, the young and innocent girl and the experienced, tortured older man. Most of the time when I'm reading a book I have to imagine the characters as actors or famous people, it's an odd habit of mine. Just in case you are curious, this is how I imagined Gabriel and this is how I imagined Julia. Anyway, I hear there's a sequel on the cards so I will definitely be picking that one up to see what else is in store for Gabriel and Julia. Another book I read recently, which also made me cry profusely, was Heart on a Chain by Cindy C. Bennett.The story centres around a young girl named Kate who comes from a poor family. Her father is a drunk and her mother an abusive prescription drug addict. Kate has to deal with being bullied at school and then must come home to physical assaults from her mother. This book was very, very similar to Reason to Breathe by Rebecca Donovan, I'm still not sure which story I preferred. Anyway, when a boy who Kate had been friends with as a child returns after having lived away for several years, Kate finds herself with someone who will finally stick up for her and show her that she needs to stand up for herself and not allow herself to be victimised anymore. This is a YA book, but with some very adult themes and some shocking scenes. The realism is what made me love it so much, as well as how the author portrays the mind set of Kate. Other books that I'm planning on reading next come from two Twitter friends, the first is The Complex by Cathy E. Zaragoza, which looks like it's going to be a good Dystopic Future novel, one of my favourite genres. 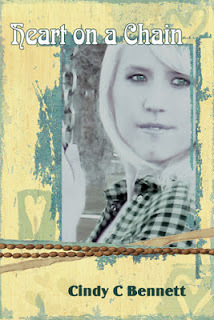 I'm doing a swap with this author, and she is going to be reading one of my novels also. The second is Hold on Tight by Maria E. Monteiro, I read an excerpt of this online and was instantly hooked, it's a YA romance and I've read some very positive reviews so I'm sure it's going to be great. Also, I keep seeing Fifty Shades of Grey by E.L James everywhere, I'm hesitant to read this one, but I'm sort of curious to know what all of the hype is about so I might have to give it a look too.